Immediate Homecare and Hospice has a transitional program designed for those who require additional non-acute care in which home health care simply cannot meet the demands of the case. This program is known as our Palliative Care program. 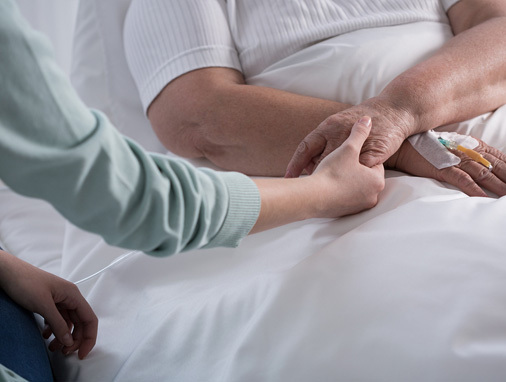 Palliative care was designed for patients who have been diagnosed with a potentially terminal diagnosis but are not categorized as being "end of life"; thus making them ineligible to elect their Hospice benefits. While on Palliative Care patients may still receive chemotherapy, radiation, dialysis and any other life "prolonging" treatments. Palliative care falls under homecare per Medicare and insurance guidelines not Hospice. This is important to understand based on insurance carrier guidelines. Certain items that are covered under Hospice are not covered under palliative care. The main focus of Palliative care is symptom management. Our Team will work with the patient, caregiver and doctor to educate the patient on the disease management process while promoting the highest level of quality life experience. Our team is trained to focus on both short and long term goals. This means that not only do we put an action plan in place to help prevent those three am Emergency room visits due to an exacerbation; but we also work on longer goals such as being able to assist a patient in building up enough strength to help the patient to be able to attend family functions. If you have additional questions please contact us at 215-638-2223.